Today we’d like to introduce you to Joy Poskozim. Thanks for sharing your story with us JOY. So, let’s start at the beginning and we can move on from there. I wanted to be a dentist every since I had to get braces. Unlike other twelve-year-olds, I relished the changes the braces were doing to my smile. I went from not being able to close my front lips together without stretching them to the smile I have today. Wanting to help other people’s smiles, I went to NYUCD for dental school, a General Practice Residency, and started working as a general dentist. Through continuing education, I found communication is an important part of dentistry, so I now am an Integrative Health Dentist: what we put into our bodies affects our mouths, and how we treat our mouths truly effects the rest of our bodies. My grandmother needed a new lower partial denture, but she had health issues that prevented her to come to my office, even though only ten minutes away. I went to her to make it so she could eat again. She did go to mass, so now house calls, eight years later, has become an integral part of my dental practice. I had no idea my dental career would turn to focus on geriatrics outside of my dental office, but it has been truly rewarding and satisfying. 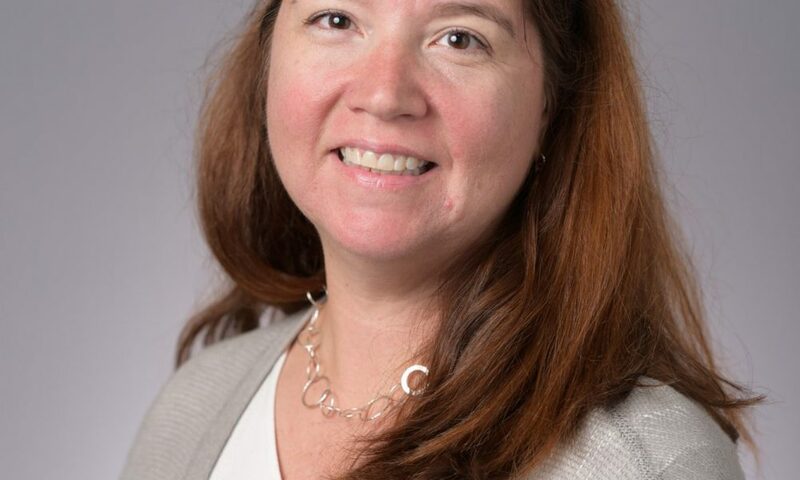 I am currently the dentist for Three Crowns Park in Evanston, IL, Bethany Methodist Retirement Home in Chicago, IL, and Sunrise of Wilmette, IL. I also go into people’s homes. The disabled, those with dementia, morbidly obese, paralyzed. Anyone who cannot come to me I can go to them. NOT a smooth road. Figuring out how much time it would take to go to visit these patients, and in between visits, was truly a learning curve. Also, communicating with the patients and/or caregivers (for those in memory care) to make sure I am bring all the right materials for the procedures they think I need as well as materials I think I need. It has been difficult for those loved ones just starting down the path of dementia on what they truly want, need, and know about their health and their mouths. A lot of times the consult tends to be discussing what proper toothbrushes or toothpaste or dry mouth products would work and when during the day. Also figuring out the dental treatment that is best for the patient if not in pain. Please tell us about JOYFUL DENTAL CARE. 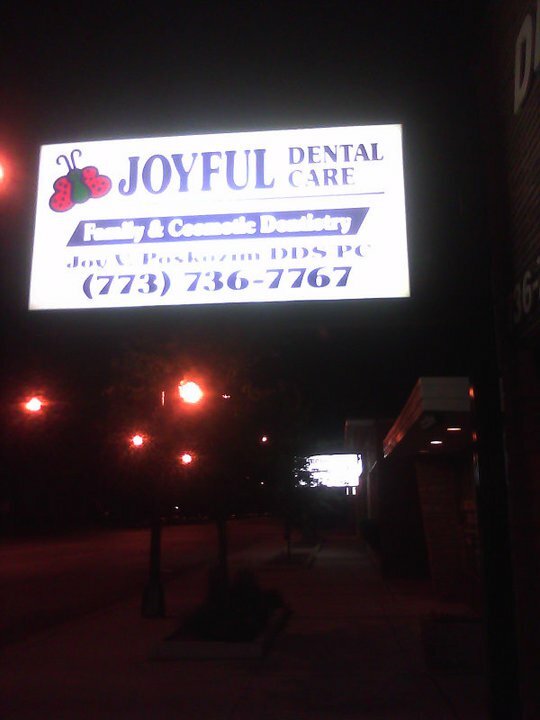 Joyful Dental Care started 6/2006 as an already-established general dental practice. I bought the practice from a dentist who was relocating. There was no dental hygienist — one who cleans teeth — at the time, so I began doing all the cleanings as a way to get to know and bond with my patients. Pretty soon I got to be known in the neighborhood as the dentist who does her own cleanings. I love getting to know my patients better, and to be able to do more than one procedure in one visit, so patients do not have to necessarily come back for a second appointment. Recently I have become a go-to dentist for sleep apnea from a local hospital. I love this! I help those that are suffering from the CPAP machine when diagnosed with mild-severe sleep apnea. I connect these patients with the right oral appliance to help them breathe properly when sleeping. I have also been invited to attend and participate in a Special Conference on Access to Oral Health. Thrilled to be a part of this! Truly hope I can make a difference for geriatric oral care. I was named a Chicago Tribune Top Dentist, a Patients’ Choice Winner, and Healthtap’s top doctor. The best things, however, are the word of mouth referrals. Best compliment of all. I had the opportunity in residency to do another residency in dental implants when dental implants were first being done in hospitals in OR. I chose not to do this because my dental school loans were coming in. Then again, if I had become a dental implant specialist I would not have had the opportunities I have had here in Chicago, my hometown. $60 consults for at-home visits.